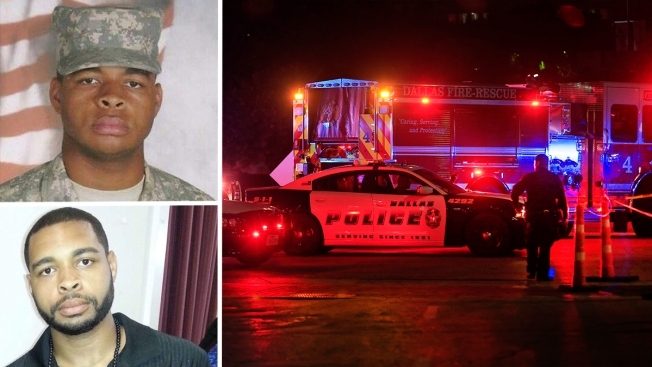 The U.S. Army released a report Friday evening detailing a 2014 investigation into Micah Xavier Johnson, the gunman who attacked Dallas Police on July 7, killing five officers. The report details a bizarre incident that resulted in Johnson being sent home from Afghanistan. It says an Army investigation determined Johnson "took underwear" from a laundry bag belonging to a female soldier who was a friend of his and tried to "dispose of the evidence" after unit leaders found some of the underwear in Johnson's room. The report says that Johnson also made comments to that female soldier that "constitute sexual harassment." During a search, investigators also found Johnson was "storing an explosive article" in the barracks where he lived – and did not have any reason to possess that explosive device. NBC 5 Investigates spoke with one of the soldiers involved in the search in Afghanistan. Army Reserve Sgt. Mark Wallace describes how Johnson ran after being caught with a stash of women's underwear, leading commanders to disarm him and separate him from the rest of the unit. It happened at a remote military post called "FOB Shank" in eastern Afghanistan. A female soldier reported some of her underwear missing from her laundry, prompting unit leaders – including Wallace – to conduct a search. "We discovered that there was a stash of women's underwear in his room. And as we discovered it he, of course, jumped into the room, swooped them up and put them in his hoodie in his front pouch, which added to the bulk that was already there. So we were like, 'Hey, dude, you got – what's in your hoodie?'" said Wallace. As commanders confronted Johnson, Wallace says Johnson took off running. They eventually caught up to him, but a search of the base found Johnson tried to dispose of more underwear in the latrines and a dumpster. Concerned about Johnson's behavior, commanders put him under watch, posting an officer outside his room at all times. "So when somebody does something off the wall like that, the first thing to do is take away anything they can hurt themselves or anything else with. So, of course, we took away his rifle, all of his ammunition," said Wallace. Days later the Army sent Johnson away to Bagram Airfield and eventually back home. Unit leaders with whom we spoke say there's no question the incident left Johnson as an outcast from his friends in what's been described as a close-knit unit. But people who served with him still cannot understand what would have ultimately led Johnson to hunt down police officers in the streets of Dallas.